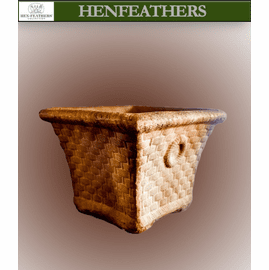 HenFeathers' Vintage Weave Basket Planter is a beautifully crafted basket weave planter masterpiece. 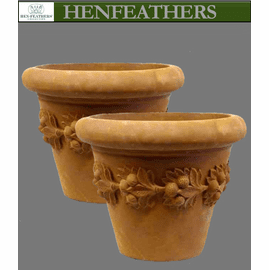 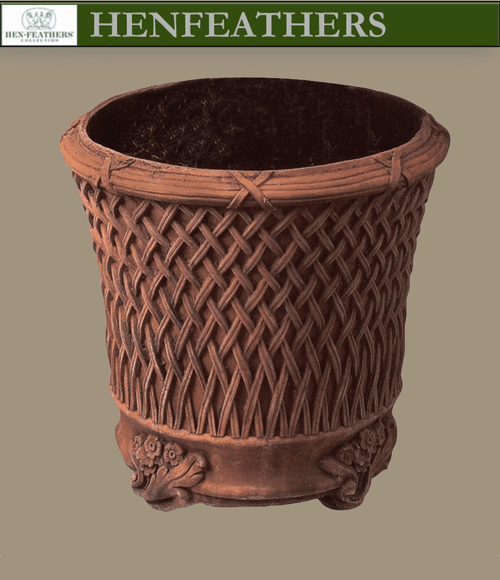 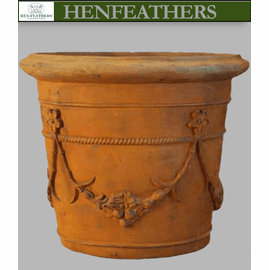 This planter is available in authentic antique Terracotta patina. 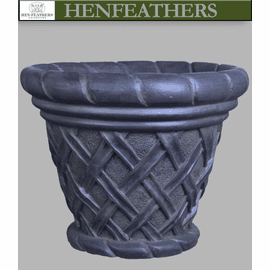 This design is carefully hand molded and hand finished by craftsman to the highest standards of detail in a composition of terracotta, bonded marble and fiberglass to guarantee weather and frost proof durability. 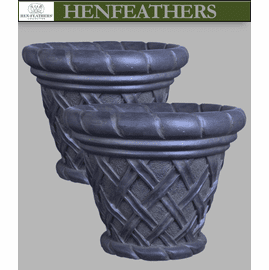 Each design is carefully packed and transported to any destination.